AB Communications, which was awarded operating licences to run local commercial radio stations in Gweru (Faya FM) and Masvingo (Hevoi), will start operating by August this year, according to AB Communications chief executive officer Susan Makore. The stations broadcast within a 30km radius of the cities. ZiFM Stereo, the country�s first private commercial radio station, also run by AB Communications, has reportedly acquired nine more transmitters and other related equipment as it expands its national coverage base. 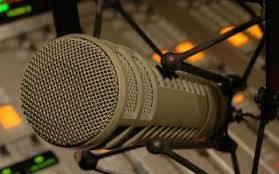 This brings to 23 the total number of transmitters the radio station has so far installed at a cost of $300 000. The Broadcasting Authority of Zimbabwe wants ZiFM Stereo to put up 24 transmitters countrywide. Makore said the acquisition of the new transmitters would see the radio station extend its coverage to almost the entire country. �It is a huge milestone for ZiFM Stereo and it effectively means the station has complied with a Broadcasting Authority of Zimbabwe to provide national coverage,� Makore said. Makore said they were still waiting for the frequency for Chiredzi before they could put up the 24th transmitter. The station started broadcasting in August 2012 and has won several local and regional accolades since then.